If you are in the workforce, you have probably dealt with co-workers who show up late, talk over people in meetings, refuse to collaborate on team projects, and get angry when things don’t go their way. Too often, you’ve learned you can’t solve these problems with a brief discussion about how to get along with others. That’s because the roots of these behaviors are often established during the first five years of a child’s life, when the very wiring of the brain is developed. This is true across all nations and cultures. The ability to regulate emotions and behaviors is a key component of a set of skills often referred to as social-emotional skills. In a world where academic skills are often viewed as the priority, social-emotional skill development may not always be on the forefront of most parents’ and teachers’ minds. However, research has shown that social-emotional skills are crucial for children to become successful both socially and later professionally. In a new report, “Social-Emotional Skills in Early Childhood Support Workforce Success,” ReadyNation/ReadyNation International, a global business leader group that has been urging policymakers in the U.S. and abroad to expand quality early education since 2006, explains the importance of social-emotional skills in later life. As members, we’ve become accustomed to describing the impact of preschool and quality childcare on the development of early literacy, math, and other academic abilities. Now we’re focusing on early education’s impact on the “social-emotional” and “character” skills that ultimately drive success in the workforce in any country. We’re getting plenty of back-up on this, based in part on a Zogby poll of 300 U.S. business leaders who say it’s harder to find job candidates with the right character skills than those with the right technical skills. It’s a problem that won’t be solved any time soon – 88 percent of those surveyed believe there will be an even greater need for these skills among workers in the future. We agree, and believe these skills are as important for a financial planner managing millions of dollars for a demanding investor as they are for a convenience store clerk facing a long line of customers on the hottest day of the year. Our experiences are also supported by a 20-year study that showed every one-point increase in character skills among 800 U.S. kindergartners made them twice as likely to earn a college degree and 46 percent more likely to have a full-time job at the age of 25. Unfortunately, decreases in character skills among this same group of kids meant a greater likelihood of time in juvenile detention, arrests in early adulthood, and being on a waiting list for public housing. The ReadyNation report makes a clear case for expanding quality early learning experiences to help offset the negative effects of what are termed “Adverse Childhood Experiences,” which range from being a witness to domestic or neighborhood violence to living with someone who’s mentally ill, suicidal or abusing alcohol or drugs. Nearly one quarter of kids in the U.S. under the age of five have dealt with at least one of these experiences. Many of these children will likely face more hurdles when it comes to learning how to manage emotions and build trust with teammates once they’re in the workforce. 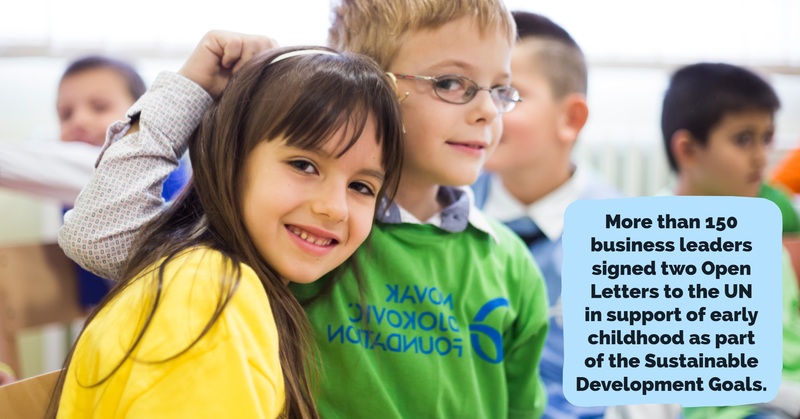 For these reasons and more, we join ReadyNation members globally who are encouraging meaningful actions to expand quality early learning for children in their communities and countries. 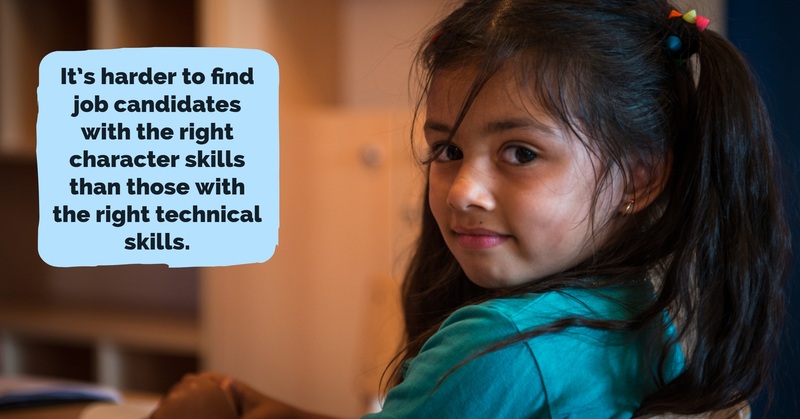 Building on the case studies in these briefs, below are other ideas that employers can consider based on their desire to support kids in their communities, or as important first steps toward improving their future workforces. Encourage employers in your community to share information about the value of quality early childhood experiences both in and out of the home. This can be as simple as promoting the importance of reading to kids and its impact on brain development, or as significant as consistently sharing insights from early childhood experts. Communications channels could include newsletter articles, posters, blog posts and company social media channels. Some companies also post educational resources in break rooms at work; some use company intranets and paycheck inserts to circulate information. Others bring in child care and early education experts who discuss strategies and provide resources to employees. Encourage employers to consider policies that make it easier and more affordable to enroll kids in quality child care and preschool. Examples could include offering subsidies for child care and preschool costs, along with flexible work schedules to help employees juggle child care and preschool schedules. Casey’s General Stores operates an on-site child care center, which was part of the plans for our corporate headquarters in 1989. We are proud of what it has done for our employees and their children. 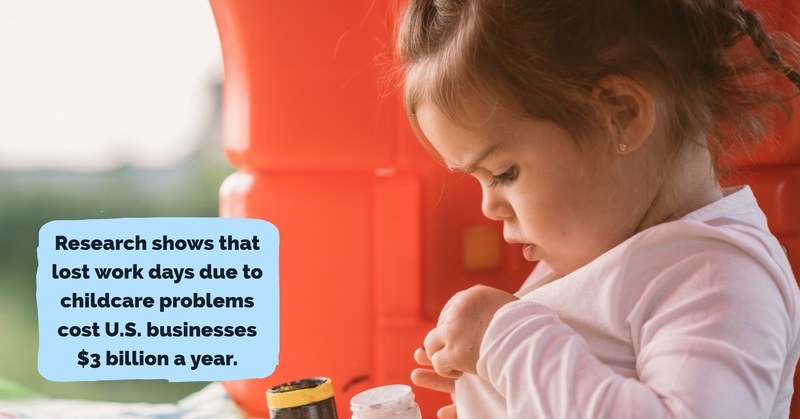 While helping employees find good child care and early education services certainly makes sense for the good of families and kids, there’s also a good business case. Research shows that lost work days due to childcare problems cost U.S. businesses $3 billion a year. Encourage employers to make quality early childhood a top “corporate social responsibility” priority. Business leaders are valued spokespeople for the early years because they have unique expertise on the educational needs and skills of their workforces. They can be strong messengers for advocacy to expand early learning and to journalists who cover education and children’s issues. ReadyNation can help them determine how to take action to give all kids a good foundation for success. John J. Brennan is Chairman Emeritus, former CEO, and Senior Advisor at Vanguard, an investment firm with $4 trillion in assets and offices in 10 countries. Robert J. Myers recently retired as Chairman & CEO of Casey’s General Stores, which has locations across 15 states in the U.S. Both are members of the ReadyNation CEO Task Force on Early Childhood. For more information, contact ReadyNation Global Director Dr. Sara Watson at swatson@readynation.org.